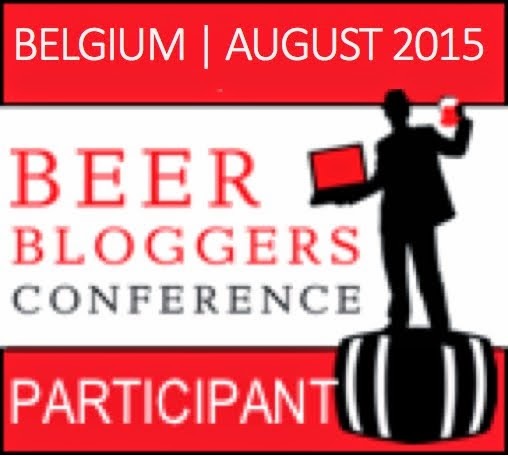 The beer bloggers meet up was at least a month ago and the day has been covered in detail elsewhere. Suffice to say that Sheffield was a more than suitable place for 30 odd amateur beer writers to take a stroll around five of six pubs and three breweries. A good day was had by all. One of the ideas of the day was a beer swap. Each person was encouraged to take a beer from their own area and swap it with someone from a different region. I raided my stash and lifted one of my last bottles of Courage Imperial Stout brewed in 1992 and swapped it with Rob from Hopzine.com for a bottle of Wensleydale Black Dub from North Yorkshire. Rob legged it round to Zak Avery's shop in Leeds and their views on the Courage beer can be seen here. Although coincidentally also a stout my Wensleydale Black Dub was an altogether different beer. It was fresh and clean, a 4.4% black beer brewed with floor malted barley and oats. Not bottle conditioned but cold filtered straight from the cask tanks with a low carbonation to be as near to real ale as possible - that fizz was still not low enough for me but it dissipated quickly with stirring. This beer needed to be drunk as fresh as possible and was delicious and very quaffable. There was a slight hop on the nose but not too much roasted licorice flavour. Hints of chocolate were more Dairy Milk than Bourneville with a smooth vanilla and toffee sweetness. The beer was very balanced with no harsh bitterness. I think the gravity could be pushed up a little as the beer was slightly thin - though this is by no means a criticism. It is certainly something I would like to find in cask. Wensleydale is a brewery I have not come across before. I have since tried two of their other beers at the Bricklayers Arms Yorkshire Beer Festival and they were both just as good. 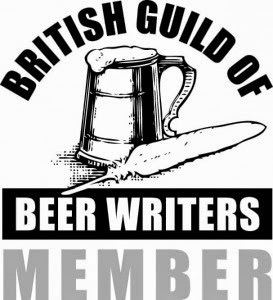 I have also had a good report from my brother-in-law to whom I sent a 52 week beer club from MyBreweryTap after I learned about this new on-line beer company on the Sheffield day - his first delivery also included another one of the Wensleydale beers. Grateful thanks must go to Rob for opening my eyes to Wensleydale Brewery, they will now be on the must-try list if ever seen on my travels. Thanks also to Alex Barlow from All Beer for the tasting glass. Thanks for the info. I can use it in the reggae song I am updating.